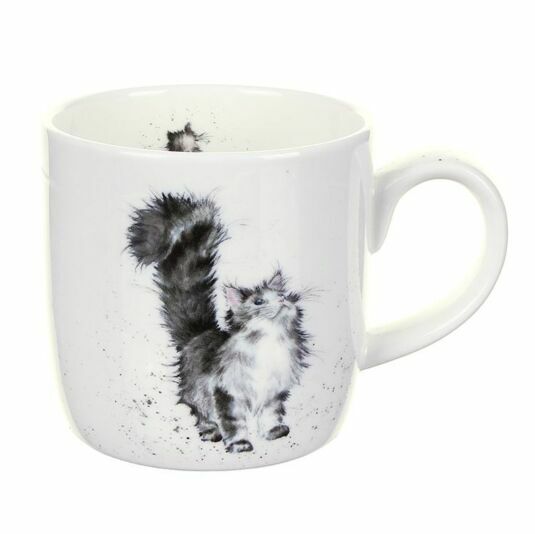 This beautiful fine china mug from Royal Worcester is part of the Portmeirion Wrendale Collection. An interested fluffy grey and white cat with a long cured tail looks up, ready to eat. He is painted in subtle greys and white, with fur and beautiful blue eyes. On the other side he looks back behind him tail swishing from side to side, surrounded by the soft speckling which is featured throughout this delightful series. 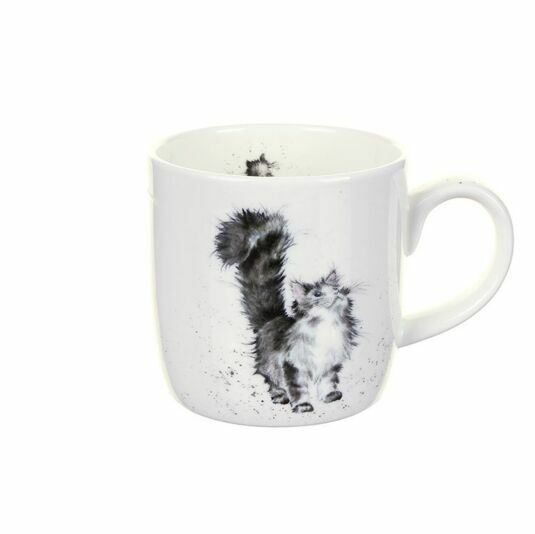 Inside the mug you can see the cat sat from the rear with his tail sticking out and the speckled detail also features on the handle.